Join Ashutosh Rai for a Live session on Scaled Agile (SAFe) 4.5 global release planning. 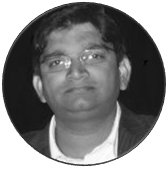 Ashutosh Rai is Agile Transformation Consultant at Xebia India. He has guided many organizations as Agile coach, mentor, trainer. Who brings an extensive Scrum and Scaled Agile Engineering practices implementation experience.